Recently, I have found that many people complain that they can’t play OGG files on their devices like iTunes, Windows Media Player, etc. Indeed, compared with WAV format, OGG has relatively poor device compatibility. WAV format possesses great audio quality and good compatibility which usually being used CD source audio. That’s why people always like converting audio to WAV! Next, I will give you 2 useful methods of how to convert .ogg to .wav. 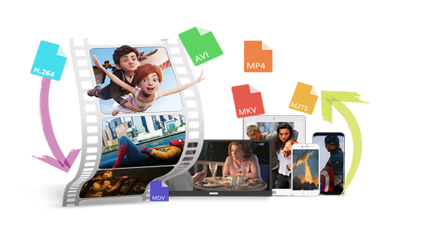 Free HD Video Converter Factory can help you convert your .ogg files to .wav without any problem. In addition, it also supports to extract audio from video, convert OGG to MP3, M4A, download video from YouTube, Facebook to WAV and so on. 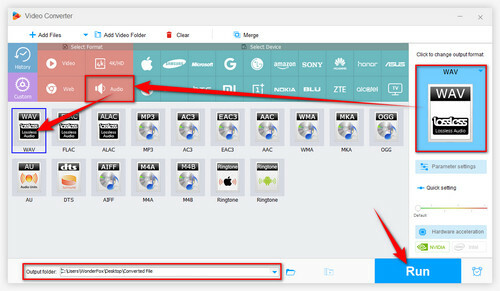 Free HD Video Converter Factory is absolutely a nice free audio converter which supports to convert audios to 300+ formats and devices. 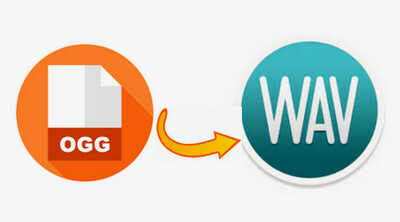 In terms of converting OGG files, it can easily convert OGG file to WAV without any cost. Otherwise, it also supports to convert OGG to MP3, convert URL to WAV, URL to MP3, etc. Before start, please free downloadfree download, install and launch the software. Importing your OGG file to the program is the initial step to convert OGG to WAV! Click “Add Files” or directly drag and drop the OGG audio from your local hard drive to the program’s window. Press “Output Format” button on the right side of the program. After then the program will pop up a format selection interface automatically, select “WAV” format under “Audio” tab as the final targeted format. Set the output path of the converted WAV audio at the bottom of the program and eventually click “Run” to start OGG WAV conversion! Please pay attention that OGG file is the lossy audio format, while WAV is the lossless audio. Converting .ogg to.wav doesn’t mean that the audio quality of OGG files can be improved to lossless quality! 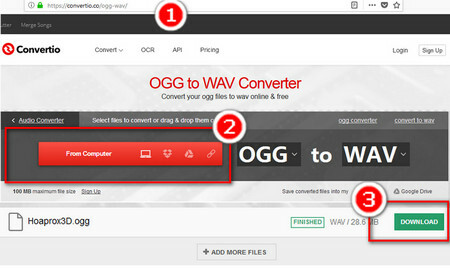 For those who don’t like to download and install any desktop software for converting .ogg to .wav, here offer some available online OGG to WAV converters for you. Step2: Click “Computer” icon to add OGG audio from your local hard drive to the online OGG converter. 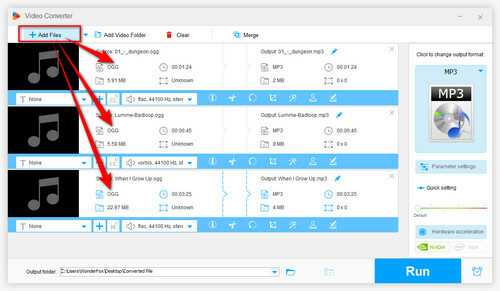 Step3: Due to the limitation of the OGG file size and your network connection, it may need to wait for a moment to successfully upload the OGG file. After done, click “Download” option in green to save the converted WAV file to your hard drive. Both of the above 2 methods have been carefully tested, you can try them without any hesitation! But I have to admit that in terms of safety and convenience, Free HD Video Converter Factory may be a better choice. 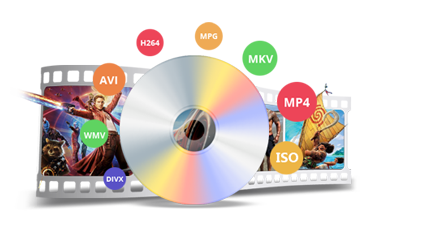 HD Video Converter Factory Pro is expert in converting video and audio files to various formats in batches. In addition, it enables to quickly convert videos and audios with hardware acceleration. WonderFox DVD Ripper Pro supports to quickly rip DVD movie to various formats, such as MP4, AVI, MOV, WMV, etc. It is also enables to extract the audio, trim DVD movie, add subtitles, etc.